We are instrumental in manufacturing a comprehensive range of extruded rubber products like braided hoses, automobile profiles, multi layer hoses, aluminium section profiles, etc., that is one of the extensively demanded items of our entire range. These extruded rubber products are utilized in the automotive and electrical industry for making different profiles. Our clients can avail from us, a wide range of profiles for aluminium section that is designed from superior quality rubber. 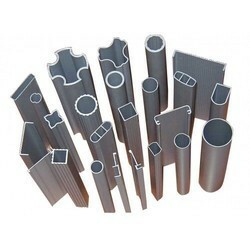 These profiles are highly appreciated for their durability and high tensile strength. 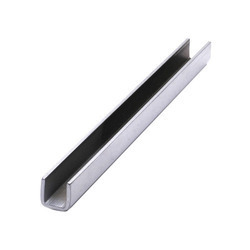 Adjustable according to the specific requirement, these profiles for aluminium section are ideal for usage in industries like automotive, building construction, marine, packaging and medical. We have in store for our clients, q qualitative range of profiles for automobiles that includes automotive rubber parts, automotive rubber products and automotive rubber components. Addressing the demands of automobile industries, our profiles are widely recognized in domestic and global markets for its international quality standards. We bring forth for our clients, a resilient range of channels and chords that is reckoned for its expansion resistance and contraction resistant capacities. These channels and chords are designed to perfection by our expert technocrats and are offered to our clients in standard and customized specifications. Leveraging on our world class infrastructure and the adeptness of our proficient team, we are offering our clients with beading. These beading are sturdy in nature and can be moulded or adjusted to meet the application requirements of diverse industries. We also undertake customization of these beading as per the specific requirements of our clients. We offer a wide range of Rubber Profiles which are extracted from superior quality polymer. These rubber profiles are durable and possess high tensile strength. These rubber Profiles are adjustable and can be molded easily according to the requirement. 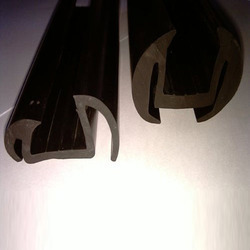 We provide these rubber profiles to industries such as automotive, building construction, marine, packaging and medical. We manufacture highly efficient Bus Body Profiles, which are appropriate to be used for the sealing of doors of vehicles, fixing of windshields and window panels. They also provide protection to the interior of a vehicle from dust, Rubber hoses and other unwanted particles. These Body Profiles are available in different forms such as Solid, Sponge and co-extruded. They are highly demanded by automotive industry. They also possess sound proof ability.